Recently my parents were offered an old tin shed by a neighbour. When they went to collect it they also came across a couple of other unwanted items, which they thought I might like. 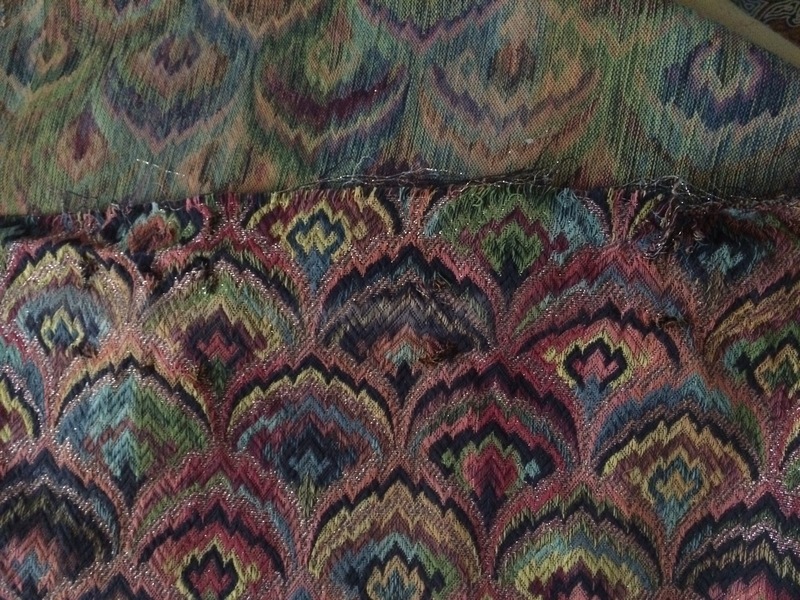 The first is this gorgeous woven fabric. It is quite a large piece, but is not in perfect condition. It was obviously tacked up over a window or doorway at some point as it has many holes along one edge. And sadly one quite large hole about 18″ down from the top. But look at the size of it! 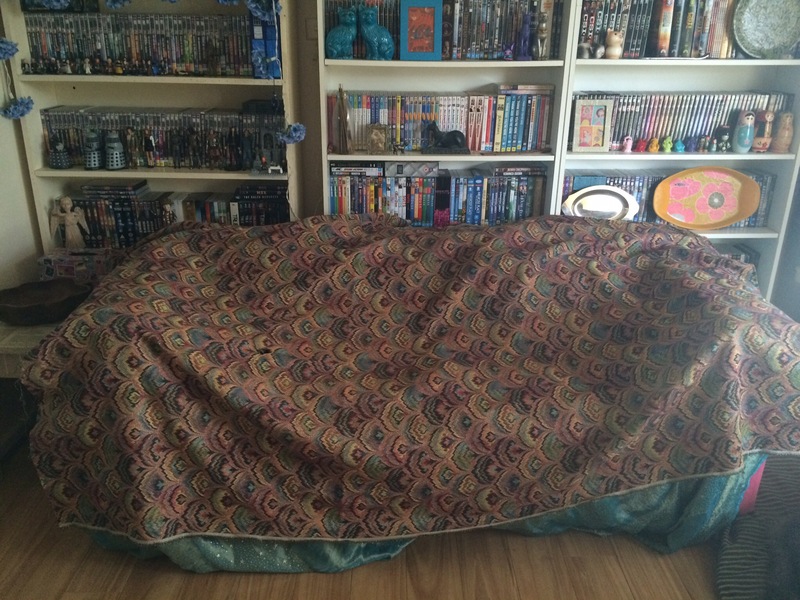 I am not sure what to do with it, as I’d like to make the most of the size, rather than just cut it into pieces for cushions or seat covers. 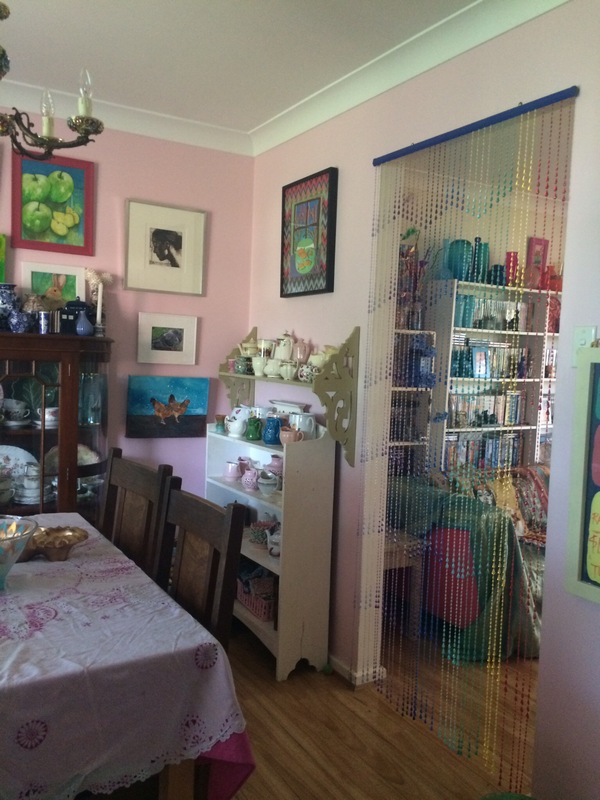 The second item was this rainbow coloured bead curtain. All it needed was some soapy water and some untangling. The cats love it, but Luiseach thinks it is an impenetrable barrier, so she now has to go the long way round to the kitchen! Wolfhounds aren’t very bright! This entry was posted in Decorating, Home DIY and Decor and tagged beaded, curtain, decor, decorating, fabric, found, gift, home, interior, presents, thrift, thrifting, treasure. Bookmark the permalink. 1. That fabric looks sumptuous. The colors are gorgeous. 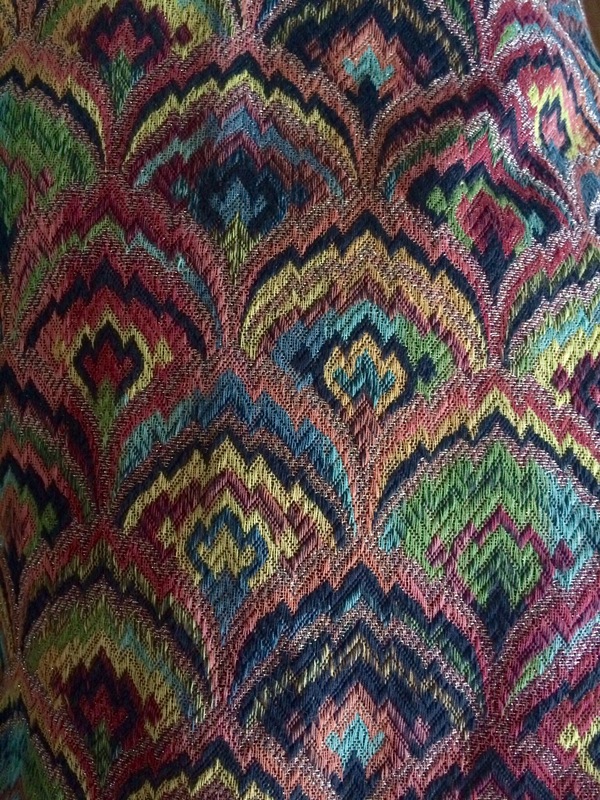 Is it bargello, perhaps? 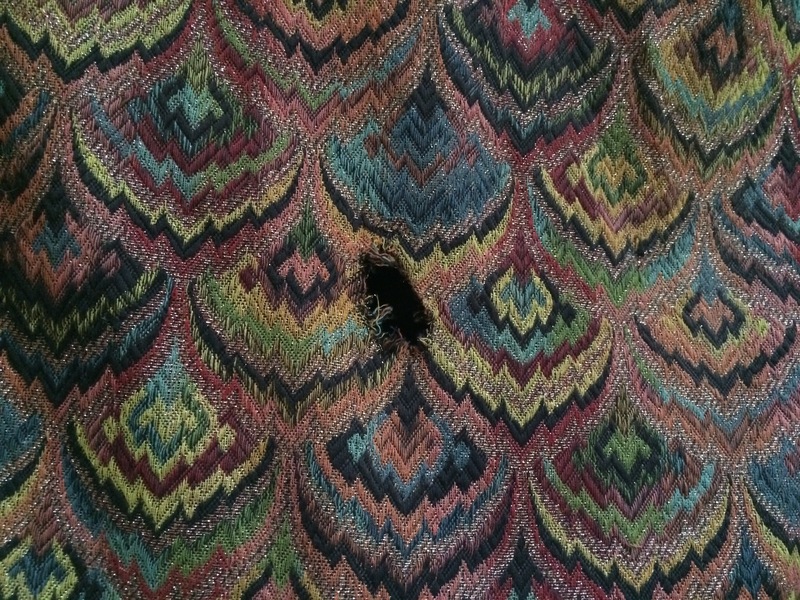 I am not a textile expert. 2. 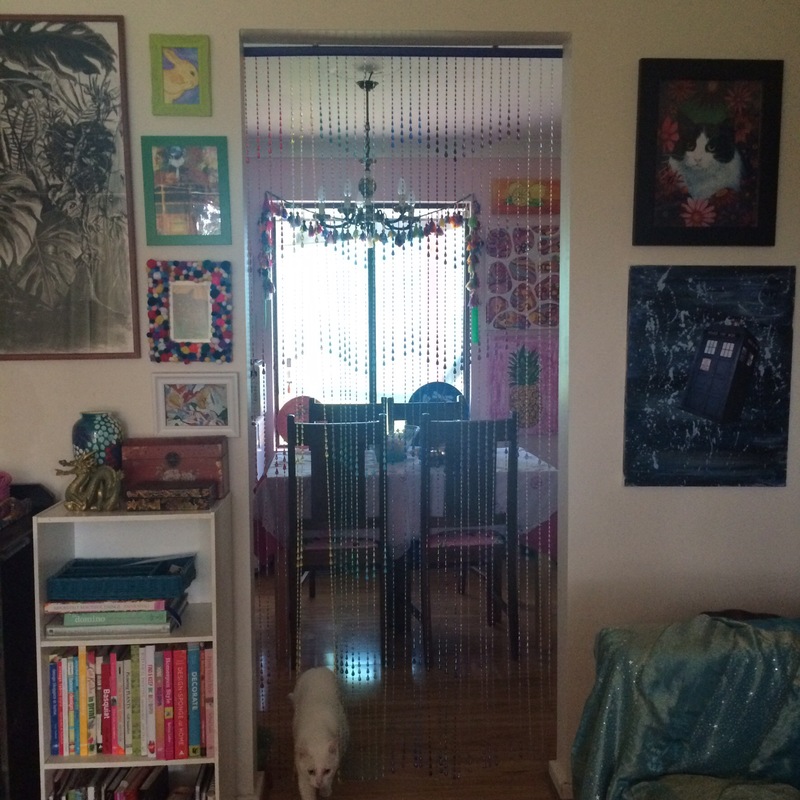 Please publish more photos of your pets with the bead curtain. Stories, too! 1. I’m no textile expert either, but it seems to be some sort of brocade. I wonder if it might be Asian in origin? 2. Lol… Ok, I promise I will!! !